A spotlight on the Shaikh Ebrahim Centre for Culture and Research, a gem in the heart of Muharraq. Shaikh Ebrahim bin Mohammed Al Khalifa was an early 20th century intellectual and a leader in the fields of education, culture and the social sciences. Back in those days, Muharraq was the capital of Bahrain and the seat of government with major developmental projects being planned there. It was there too that Shaikh Ebrahim had his majlis, from which he conducted weekly debates and corresponded with recognised personalities from around the world in the fields of culture, arts and philosophy. Established in his memory, and built on the original site of the first council, the Shaikh Ebrahim bin Mohammed Al Khalifa Centre for Culture and Research sets out to promote dialogue in the areas close to its namesake’s heart. 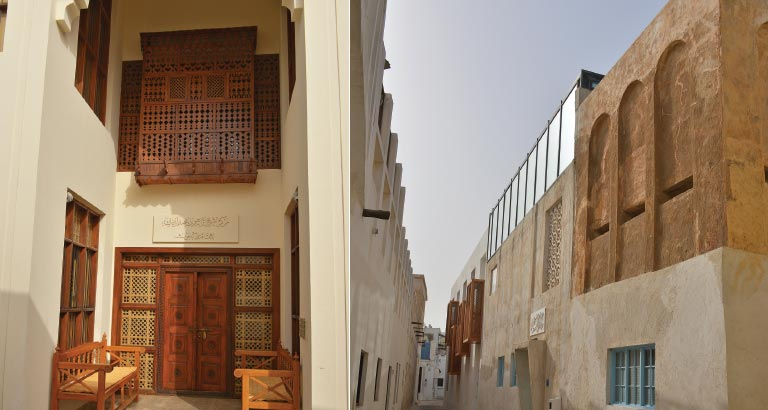 It is a gorgeous building, found in Old Muharraq and built in traditional Bahraini style – understated and elegant – with intricate, wooden mashrabiya screening forming a doorway which is both welcoming and slightly intimidating. Inside you will find a vast open hallway, a place of gleaming wooden floors and white walls adorned with the images of notable figures from history and today, each with its own story to tell. Mount an open staircase to the centre’s library which houses a collection of books on literature, poetry, history, philosophy and the social sciences. There are many valuable old tomes and it is planned to transfer and fully index the books at the SEARCH Research Library, next to the centre. There is also a wealth of original documents and paraphernalia belonging Shaikh Ebrahim as well as his copy of the Holy Qur’an, his shotgun, visiting cards and copies of his correspondence and that of his contemporaries. A highlight of the Shaikh Ebrahim centre is a large, interactive digital book titled The Future Comes From Far which explores the history and culture of Bahrain. Designed by architects Agence Moatti et Riviere and film directors Anne Jaffrennon and Marie Cuisset of OneTwo, all from Paris, France, the book is designed so that just a wave of the hand takes you into Bahrain’s remarkable story. Since the opening in 2002, the centre has hosted more than 400 interesting speakers in its weekly lecture programme as well as through special events such as recitals and exhibitions. In fact, its popularity led to the construction of a large, beautifully designed auditorium. 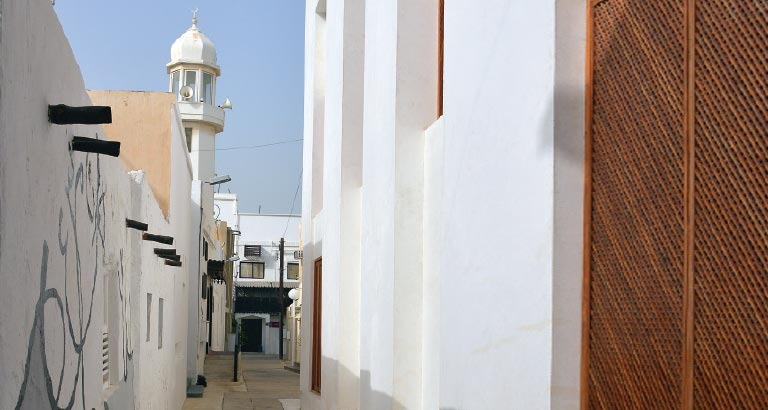 As the demand for cultural spaces has grown, the centre has expanded and has been instrumental in the restoration of many neighbouring traditional houses which showcase numerous aspects of Bahrain’s history such as the Mohammed bin Fares House of Sound Art, which hosts regular musical performances. The Shaikh Ebrahim Centre is at the head of Bahrain’s UNESCO listed Pearling Trail and is operational daily from 8am-1pm and from 4pm-7pm.